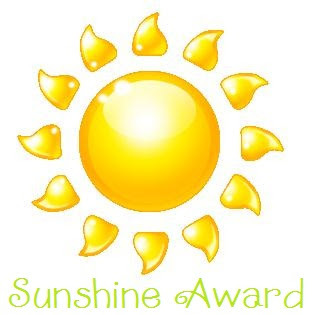 Today, Beck becktovintage awarded me the Sunshine award. The very first award I have ever received. Thank you so much beck. I really appreciate this. I don’t have much follower or blog friends but first 5 blogs are always following every post on my blog so, I consider them blog friends and they always have interesting blog post. They deserve this award. Once again, Thank you BECK! OMG! I just open your blog and saw my name in the award list..thank you so much..i really appreciate it..hugs! Thank you so much for the award. And congratulations to you too! I had guessed that you liked the Angry Birds pattern, I think you made a hat for every member of your family! Thank you ever so much for the award! You are so sweet to think of me and my blog. Congrats on yours, too! I'm so happy and very honor to take it! BTW, I love your baby booties you have made, they are just cute!!! I found your blog through Eileen and became a follower. Congratulations on your award! If you'd like to check out my blog, it's sssinthesun.blogspot.com. Hi! My name is Jee. My blog is about crocheting and travel (well about places I have visited) and a little bit of my life and adventures. I want to improve my English e.g. writing, vocabulary, comprehension and etc through blogging because English is not my native language and I am married to an American RN. So, I am hoping as I go on with this blog I will learn something and improve a little bit. If you think my post are not so good please bare with me I am still learning… that’s why I call my blog learning to write. I hope to make friends here too. Thank you for visiting my blog I hope you have a good day! How to start and join crochet-along projects? Being a Call Center Agent!!! Travel theme. Theme images by chuwy. Powered by Blogger.